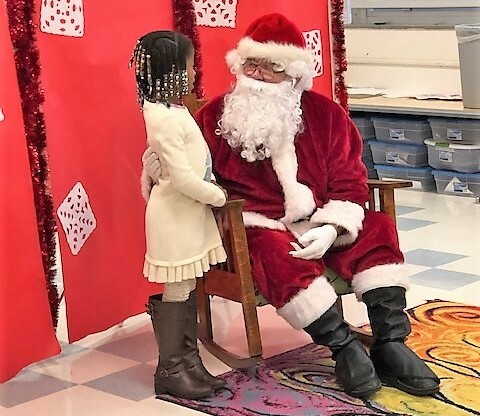 A visit with Santa and delicious pancakes and sausages made for a fun family event hosted by Belvidere Elementary’s community partners and staff. 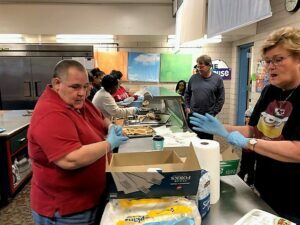 Partners donated sausage links while teachers brought in pancake mix and then the partners prepared and served the breakfast. Partners also contributed large donation baskets that were raffled to families.